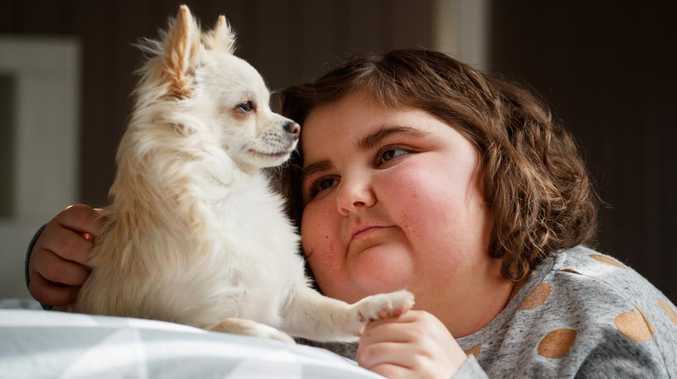 Lily Block, 9 and her little companion 'Charlie' the Chihuahua. AUSTRALIAN blood cancer patients will have access to a suite of new experimental drug trials aiming to prevent the devastating and often fatal side effects of a bone-marrow transplant, as part of a $1 million research project. Stem cell transplants are last-ditch treatments for blood cancer patients who need urgent replacement of immune-fighting cells when other treatments no longer control the cancer. Italia Block with daughter Lily, 9 and her little companion 'Charlie' the Chihuahua. Picture Matt Turner. But 40 per cent of patients subsequently develop graft versus host disease, where the donor's immune cells mistakenly ­attack the patient's healthy cells. It can lead to debilitating side effects such as gastro, respiratory and joint problems, that start within the first weeks or even years after a transplant. Half of these patients will die. For the first time, the Leukaemia Foundation's Light the Night event will direct $1 million raised by the community towards a dedicated research project with the remit of changing patient care in the next few years. The first project to be funded is the Centre for Blood Transplant and Cell Therapy's development of early treatments and preventives for graft versus host disease. They are also establishing an international database of patient outcomes - including taking blood, urine and stool samples - with the aim of finding biomarkers that predict what patients are likely to develop devastating complications after transplant. Chief investigator Professor David Gottlieb said they were also about to start trials of cell therapies that aim to treat relapse and infection after transplant, using a dose of genetically engineered immune cells from a stem cell donor. Trials will begin at Sydney's Westmead Hospital, but will extend over the next year to Royal Melbourne Hospital, The Alfred and Royal Brisbane and Women's Hospital. "It's really exciting and we're clearly hoping to offer patients access to novel treatments they currently don't have," Prof Gottlieb said. Leukaemia Foundation chief Bill Petch said the new research strategy would "speed up access to innovation" for patients, with a new blood cancer diagnosis in Australia every 40 minutes. Lily Block, 9, is cancer free after four years of treatment for Acute lymphoblastic leukaemia and a cord blood transplant three years ago when she relapsed. And while the transplant from an unmatched overseas donor saved her life, she has subsequently developed chronic graft versus host disease. Six of Lily's organs are affected, she is in daily pain and her low immunity has meant she has never been able to attend school outside her home. 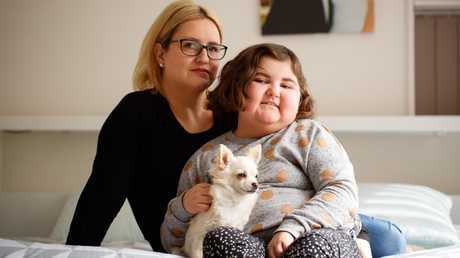 "It's worse than the cancer was," said her mum Italia. "It's like finishing a marathon when you've given it everything you have. Then you get to the end and be told you have to start again, and you don't know how long the race goes for. "You live in hope that it's going to get better."